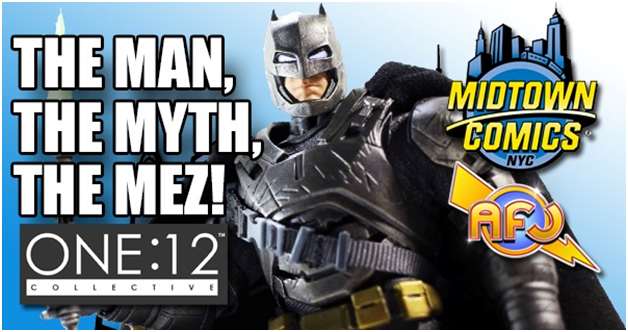 While back East for my dentist’s STAR WARS themed wedding (not kidding), I was able to catch up with Mez and he was nice enough to give AFJ & MIDTOWN COMICS an exclusive interview about his company’s flagship line of action figures. Not only is he an incredibly knowledgeable guy, Mez is exactly what this industry needs–someone that truly gives a damn what you guys are spending your hard earned cash on and wants to make the best possible product. 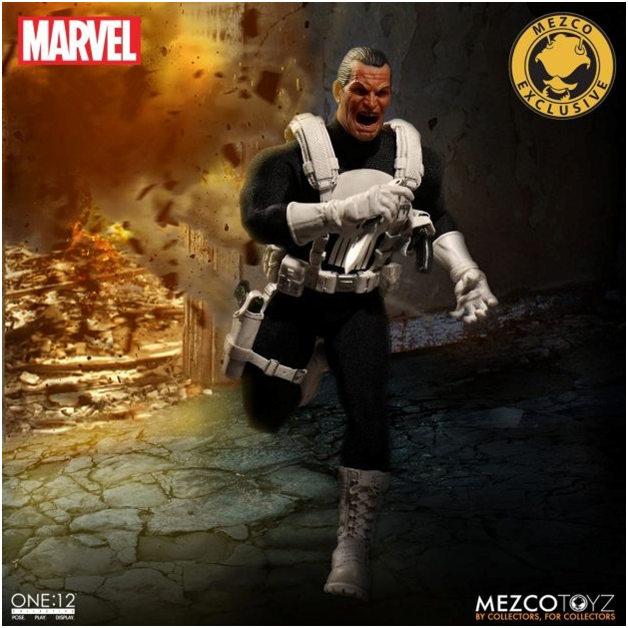 There was no MEZCO before this Mez which means that he is an entrepreneur that took a chance on himself and believing in something he loved could become a career. Now he is at the top of his game and the talk of the toy world. Never underestimate a kid from NYC with a dream. 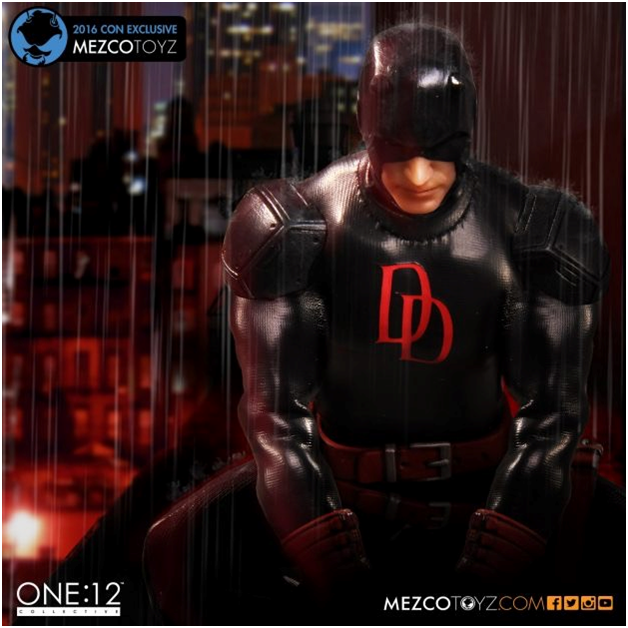 AFJ/MIDTOWN: Before we dive into the ONE:12 COLLECTIVE which is the focus of this piece, tell us the origin story of MEZCO. MEZ: Since I was a kid I always wanted to make toys. About 20 years ago I decided to see if I could see that through. 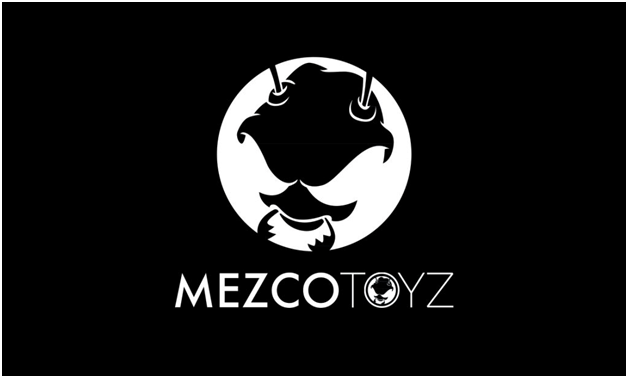 MEZCO originally started as the parent company of a joint venture called Aztech Toyz. Aztech had released the first series of Silent Screamers line and then the venture was disbanded. I moved ahead with Mezco and fast forward almost 2 decades here we are. AFJ/MIDTOWN: The introduction of the ONE:12 COLLECTIVE line has quickly become a white hot popular line among Junkies. How did the line actually come to fruition? 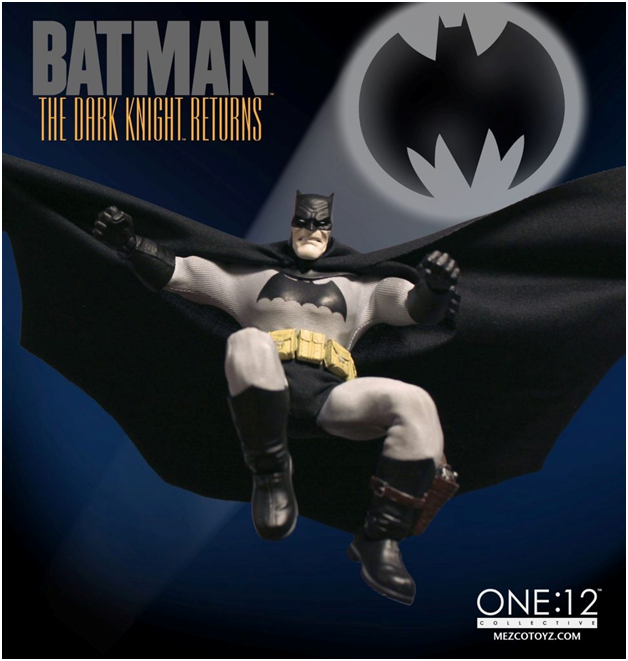 MEZ: Our ONE:12 COLLECTIVE line started as an idea a few years before we had released our first the Dark Knight Returns figure. In looking at what 1/6th scale companies were getting done and considering that 6” (ish) scaled figures were the standard as well as some knowledge I gained in working on our Living Dead Dolls line and making some cloth components for our Hellboy line, Warriors line and some other items, I started to form an idea of seeing how to make 1/12 scaled figures with the higher end feel of 1/6 scaled product. At this point I need to openly admit that other companies were doing 6” figures with cloth outfits, I do not claim to have created this format, but I do feel we have moved it in a forward direction. For me personally I like a 6” scale better than a 1/6 scale, also that is a crowded market and I knew that if we entered that market we would be running up hill against some incredible companies that have established themselves as the leaders of that arena. My thinking on a product experience level was to make these characters look “real world” so that if the source material was not from live action it would still read as something that could/might actually exist. If the material was live action then the directive is to do our best to get it to look like the source material it is taken from. I also wanted to have these figure have a high end aesthetic but the feel of a sturdy figure. That is not to say that these are not collectibles and if put in the hands of someone who is not handling it as such it does risk damage. But I wanted them to have more of a sturdy feel than what the 1/6 scale market generally offers which tends to be VERY delicate. 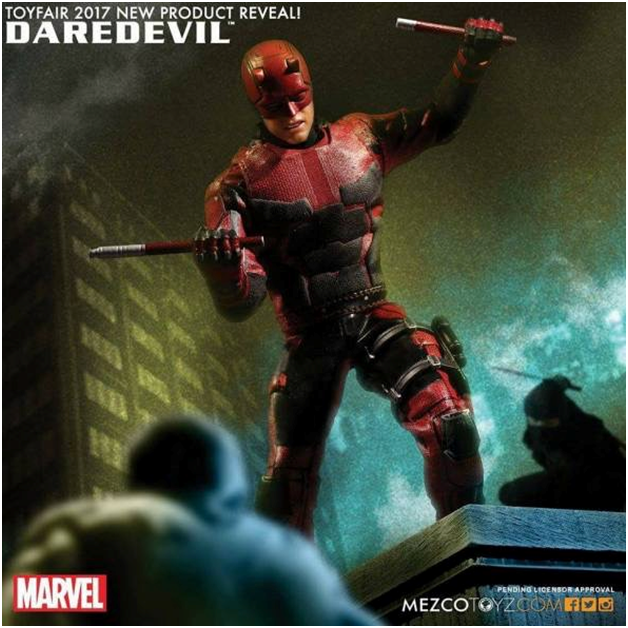 Cannot wait for this NETFLIX DAREDEVIL! AFJ/MIDTOWN: How long did it take from concept to production for the very first ONE:12 figure to be produced? MEZ: I would say if we are talking about from the idea of the ONE:12 COLLECTIVE to producing TDKR Batman about four years. 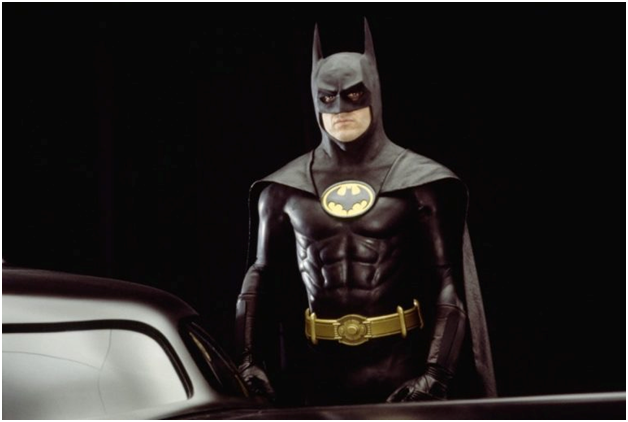 From the start of designing TDKR Batman to production was a little less than two years. These are far trickier than one would think. There are a lot of things to handle and work out. There was and still is a HUGE learning curve while we also continue to see how far we can push it. It is triple development as the sculpts are extra complicated, the outfits are its own beast and the deco is tricky and that is just development, then you take all of that and move it to the production process and need to figure out how to get it right through there. Having these things have the look and feel of a 1/6th scale figure at half the size only complicates these challenges. Deco becomes a lot more difficult at a smaller scale, molding sharp and intricate details is far more complex at this scale and the fabric is straight up pain as fabric doesn’t get thinner as you reduce scale and achieving details get more complicated so working out fittings, drapery, fabrication and such is not an easy trick. 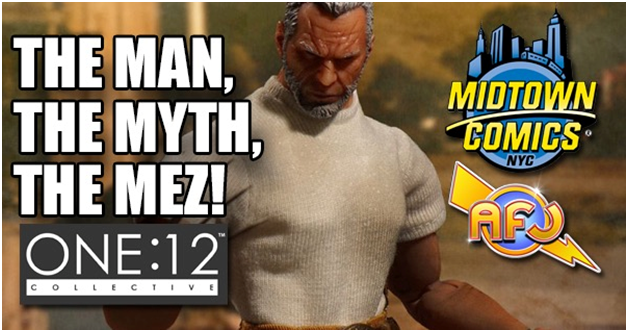 AFJ/MIDTOWN: Did MEZCO see that there was a gaping hole in the action figure market that the ONE:12 COLLECTIVE could fill? MEZ: I think that would be giving us too much credit, LOL. I do not think there was a gaping hole. I think we worked up something and executed it well (or at least we try our best) and the market has responded positively. It has been a great pleasure of all of us here that work on the line to see the phenomenal response. I can not stress enough that all of our product is a team effort. I am fortunate to have excellent people both in my New York office as well as in my Hong Kong office that help make our product what it is. AFJ/MIDTOWN: The ONE:12 line combines pretty much everything great about action figures from old school MEGO on through the current trend of highly-articulated figures that are easy to pose without sacrificing quality. Did you guys want to pay homage to all of the generations favorite lines that are still major collectors? 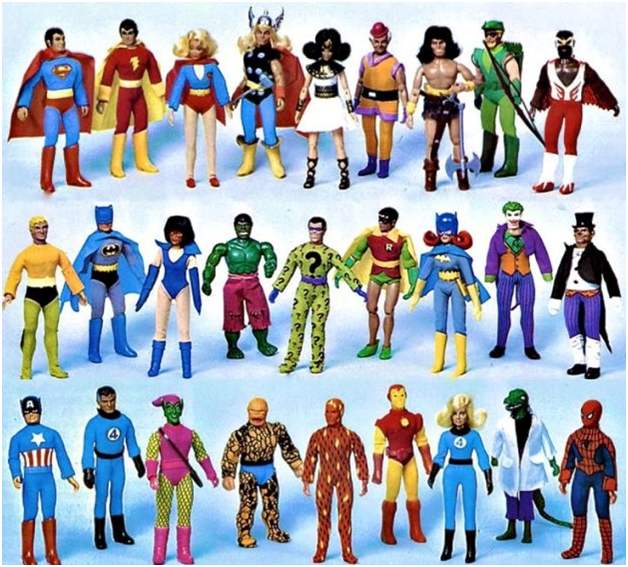 MEZ: Funny you mention MEGO, those figures were a huge part of what toys were to me when I was a kid. You also hit on some key points. For me, I like articulation, I like figures to be able to be posed and I feel strongly that the interactivity of being able to pose or play with product is essential to the product experience. The outfitting was more inspired by the 1/6th scale market as was the deco and sculpt work. AFJ/MIDTOWN: When you guys debuted your MARVEL ONE:12s at last year’s pre-Toy Fair event, I was floored that a company was able to land both of the two big dogs and make figures in the same scale and style that collectors can pit against each other. 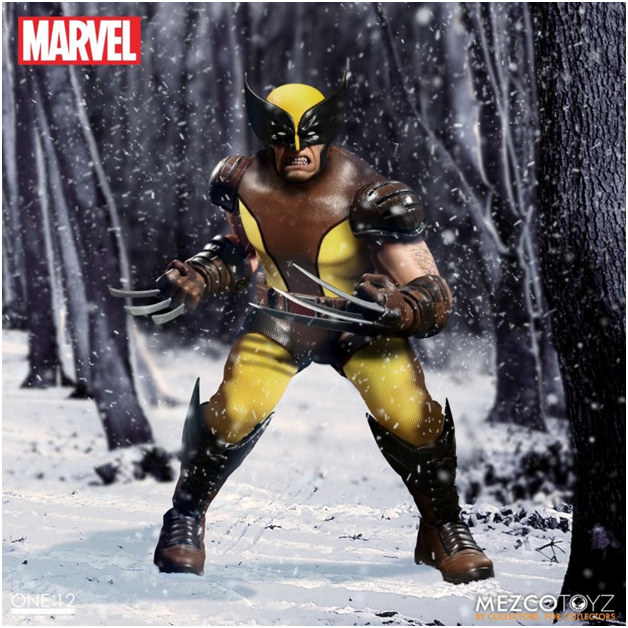 Was it difficult to acquire both the MARVEL & DC licenses and have them “competing” within a shared MEZCO figure universe? MEZ: The details and complexities of “landing deals” is a whole other conversation and one that is not something up for public discussion. However those archetype characters are something I gravitate towards and we have been fortunate to be able to work with the brands we have in our line up. As for Marvel And DC, they have been great to partner with as well as all the other licencors that we are working with. For me, for this line, it is important that these characters can all stand up together and have that singular world look, like they can all exist in the same universe even if at different times, brands and worlds. AFJ/MIDTOWN: How do you determine which characters from the respective DC/MARVEL universes get the nod to be made into a ONE:12 figure? MEZ: Hmmm, a lot goes into that. It can be what is relevant currently or if we have film rights that we are working with or if we feel something is cool and should be done just because. But at the end of the day it also needs to be something that we all care about as that is an important factor into getting it to where we want it. AFJ/MIDTOWN: Outside of MARVEL & DC, are their any dream licenses you personally would love to see get the ONE:12 treatment? MEZ: Yes and it is a long list. One I am not willing to share but I am sure that savvy collectors and fans can take a few solid guesses. 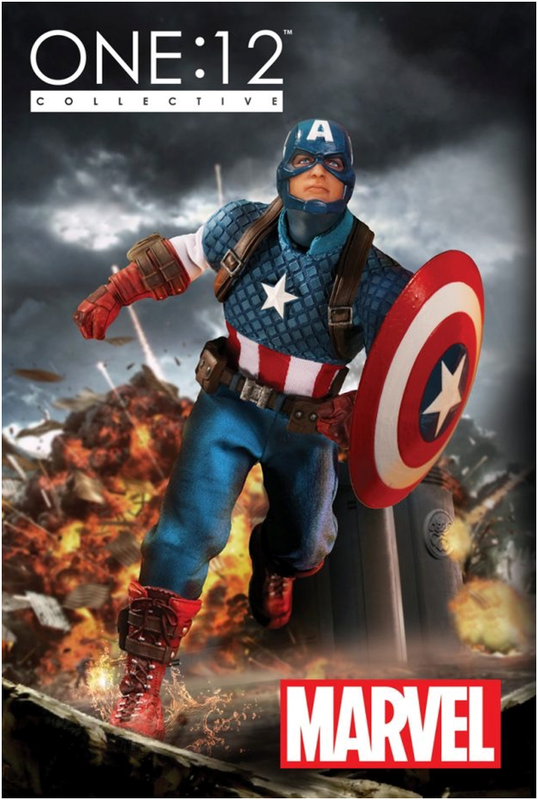 AFJ/MIDTOWN: Outside of Con Exclusives, how do you feel about making some limited run variant/chase ONE:12s? Does the production process make it more difficult to do something like a “battle-damaged” iteration or slight variation of a character? One thing I have learned is that not only do Junkies love an Exclusive, they go nuts over a variant/chase figure of any kind. MEZ: If anyone knows me or my company then you know I like variants. Some would say maybe too much but I find them exciting. I feel that when there is an opportunity to explore more than one version of a character I want to. We are invested in these characters and care about them, we find them exciting to work on and really once you start down that road you want to do so much, so variants is one of the ways to do just that. When we are first discussing a character we go though several conversations. Assuming it is comic based or more to the point not taken from live action material we talk about what would make sense for this character in a real world environment. A good example is that a dude running around in spandex fighting crime doesn’t always seem practical. This part of the discussion goes from look, to what makes their costume make sense to equipment and without making this sound overly cerebral what their motivation is as a hero, villain or whatever. From there we look at what other iterations of this character we like or are popular or hopefully both and start to work out variants. The trick is knowing what is right and I can not say we always do. The Punisher Variant–Going for $500 on eBay! AFJ/MIDTOWN: We know that their have been some scheduling & shipping hiccups as far as hitting expected street dates w/ the new ONE:12s. Are these just growing pains for an incredibly popular out of the gate product? Junkies cannot seem to get their new ONE:12s fast enough! MEZ: It is a all of that. I always wondered why 12-inch collectible figures were so off schedule and/or gave a shipping window of like 3+ months. I have now learned why. It boils down to a few things: I will stop, scrap or alter production where I can if there is room for an improvement on the item that I feel strongly about and if you talk to my team they will tell you that I feel strongly about all our product. Also there is for sure a learning curve on handling these items, I have seasoned project managers in my Hong Kong office that are from high end sixth scale companies as well as factories that do work for the best in the business and just by default of the reduced scale there are challenges to get done what we are trying to get done at our scale that shift our schedule. We are continually working on this and we will get it smoothed out but the integrity of the product is first and foremost as I want to be proud of what we are putting into customers hands. AFJ/MIDTOWN: Bat-junkies were desperate to know if you guys are going to produce a 1989 Keaton BATMAN that was supposedly teased a while back. (I could not find a pic of it anywhere!) Also, AFJ had the BVS Batmobile as “Best in Show” of Toy Fair ’16; but we are aware of the rumors of what unfortunately happened with that piece. 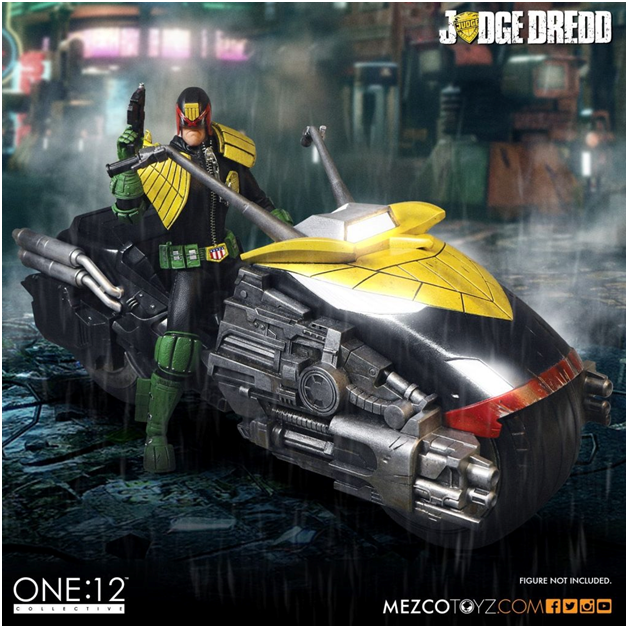 That being said, are their any plans to produce some vehicles for the ONE:12 figures in the vein of the JUDGE DREDD “LAWMASTER”? MEZ: Ok two separate things. 1989 BATMAN, the short answer is YES but he is not scheduled yet so it will be a year or two before he gets into the hooper. 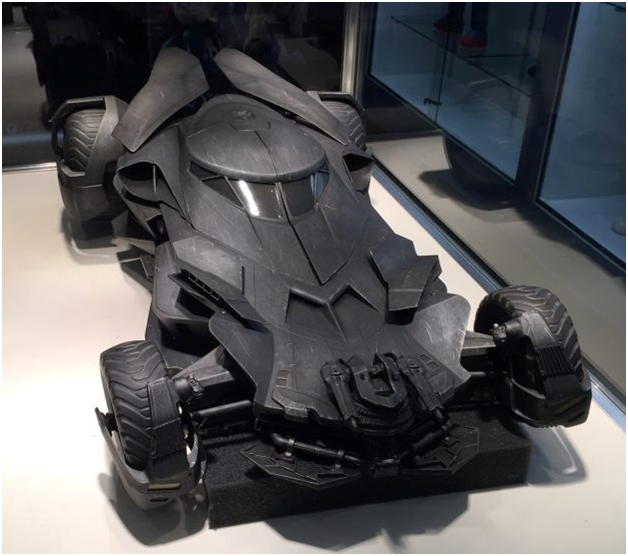 BvS Batmobile- no. We want to and will be making more vehicles but unfortunately this Batmobile has been removed from our schedule. I know this is disappointing and trust me, I am as well. Both as a fan as well as on the amount of investment we have put into the development of this item. I am hoping it is some consolation that we are going to get Knightmare Batman from the BvS film out. However I learned a lot from both the Lawmaster and the process up to where it halted on the BvS Batmobile and it will be of great help when we work on the next vehicle, and we will. AFJ/MIDTOWN: The MEZCO company jet takes a wrong turn and you are stranded on a deserted island. 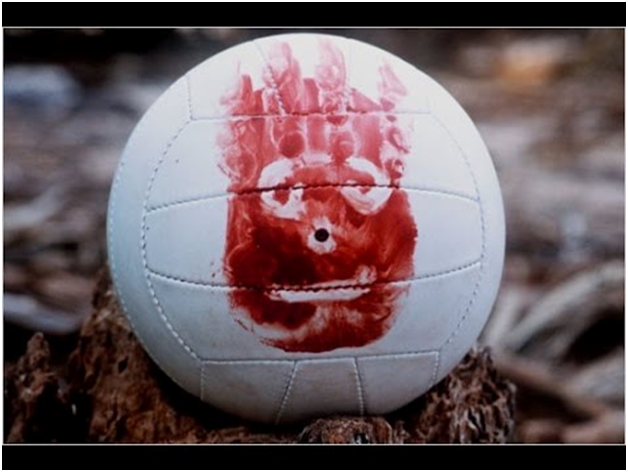 Which ONE:12 COLLECTIVE do you want as your personal “Wilson”? MEZ: LOL! I would prefer a charged cell phone so i can get back to all of them.